Sport SALLY Taylor was an instant fan favourite when Rednav powered home to a fairytale finish in the $160,000 McKimms Grafton Cup in July. Sport TAHLIA Marsh finished No.1 for the third year in a row as Clarence Valley BMX Club brought home a stack of 14 plates from the NSW State Championships. 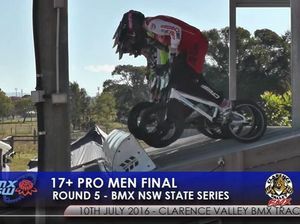 News CLARENCE Valley BMX Club riders shone as the club hosted round five of the NSW BMX State Series on Sunday.